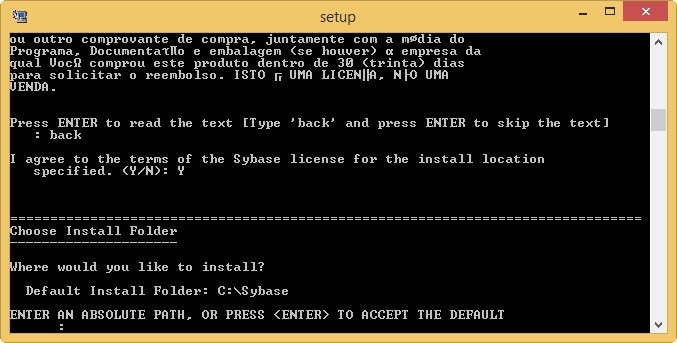 You have to install and configure the client for Sybase connection (Download: Client Sybase). 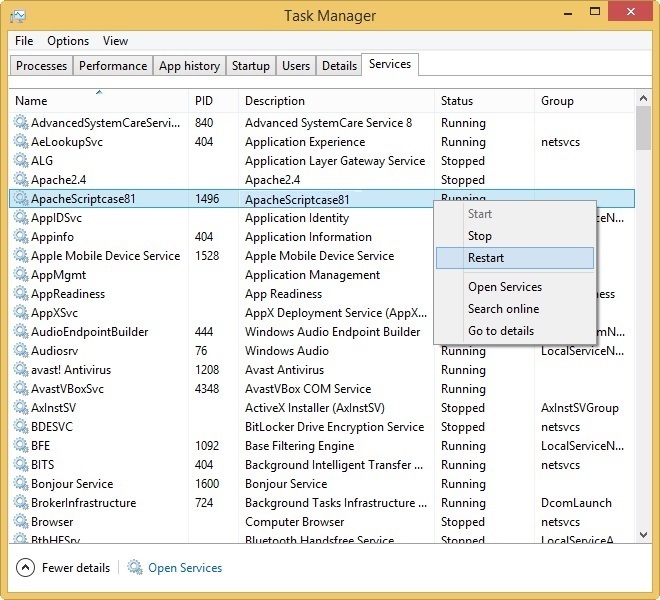 After performing download, and extract the files from the client, we must enable file setupConsole.exe. 1.1- We must access the compatibility tab. 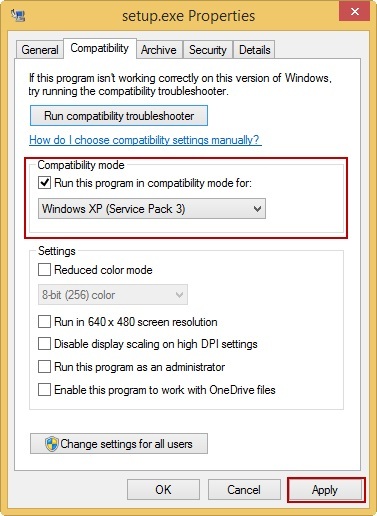 1.2- Enable the compatibility mode and choose the option "Windows XP Service Pack 3". 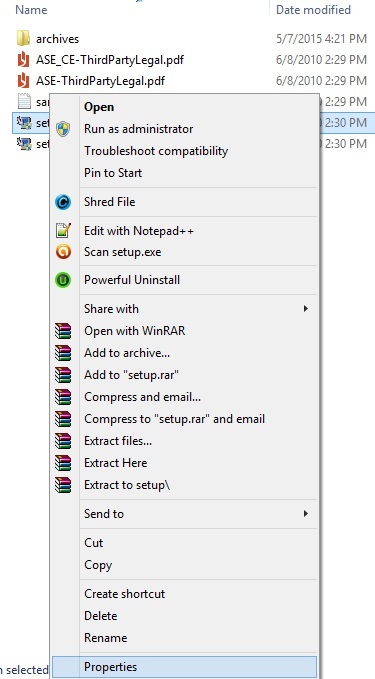 1.3- We must run the command prompt as administrator, access the folder that contains the setup of the client, and run the command: setupConsole.exe -i Console. 1.4- We type ENTER to start the installation of the client. 1.5- Now you choose your region. 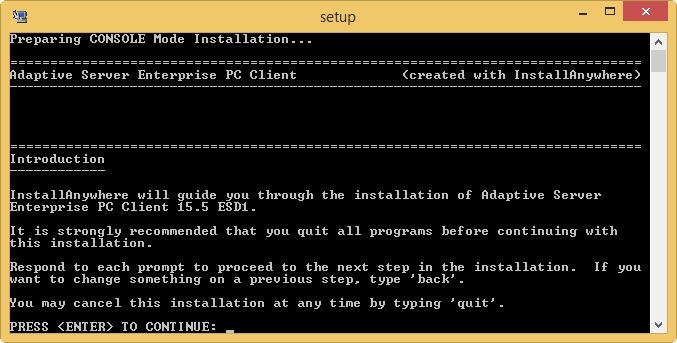 1.6- We will type BACK and we type ENTER to continue the installation. 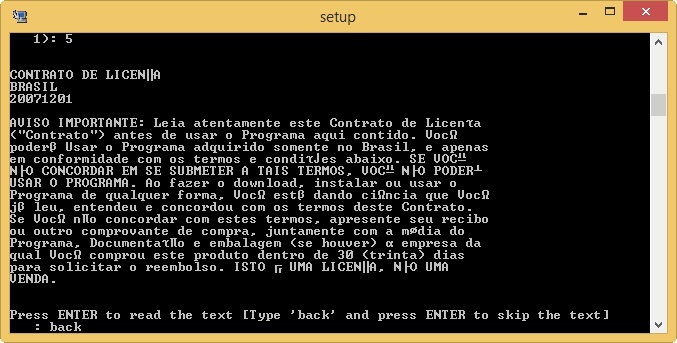 1.7- We will type Y and we type ENTER to accept the terms of the client installation. 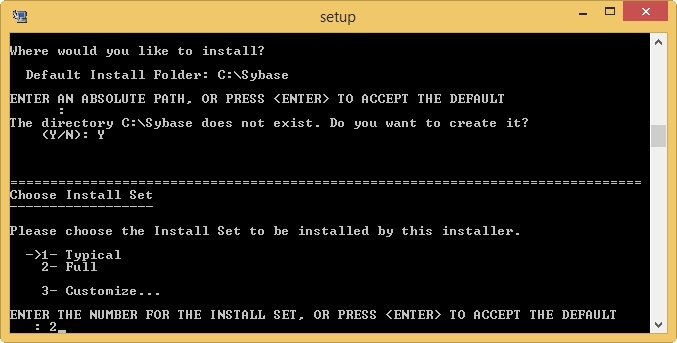 1.8- In this step, we will type ENTER to choose the default Client installation directory( C:\Sybase). 1.9- We will type ENTER for the directory to be created. 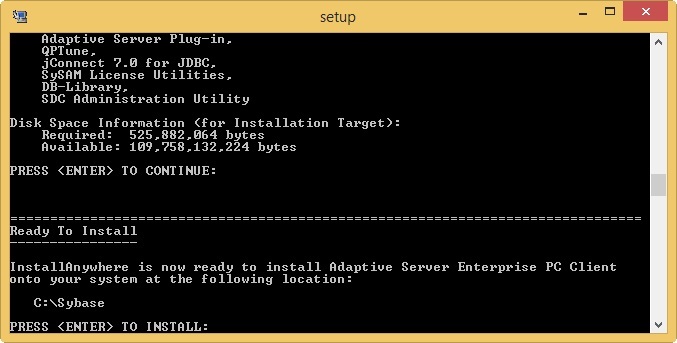 1.10- Choose the option 2, to perform a complete installation. 1.11- We can visualize the list of components to be installed. We press ENTER to continue. 1.12- Now we press ENTER to start the installation of the client. 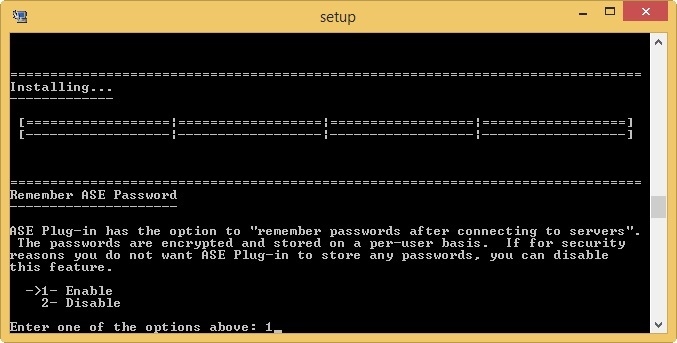 1.14- In this step, we choose the option to save the password. Type 1 and press ENTER. 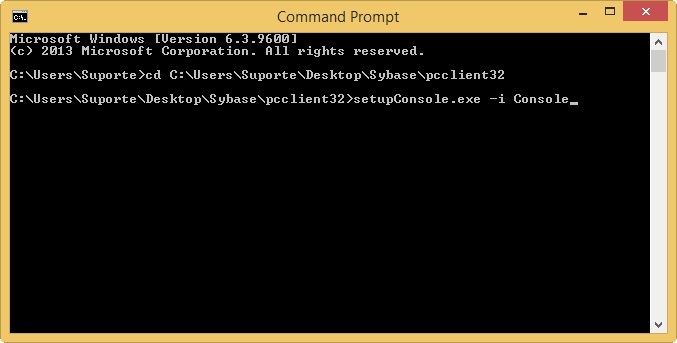 "C:/Sybase" refers to the path of the directory in which the Client was installed. 1- We will access the folder where php.ini is: C:\Program Files(x86)\NetMake\v81\components\php. 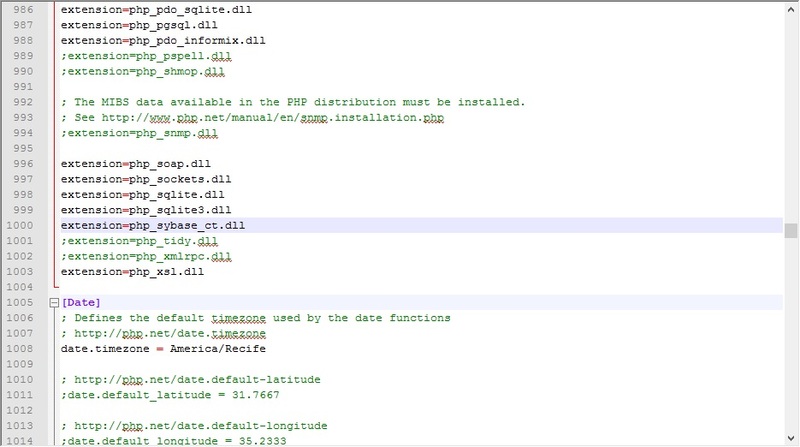 1.1- Edit the file named php.ini. 1.2- Remove the ; (semicolon) which is on the line extension=php_sybase_ct.dll. 1.3- We must access the system services and restart Scriptcase's Apache, so the changes can be visible in PHP. 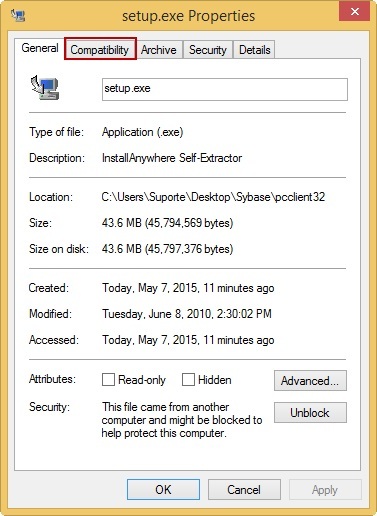 At the end, when accessing the Scriptcase diagnosis, we can check that the extension is correctly enabled. 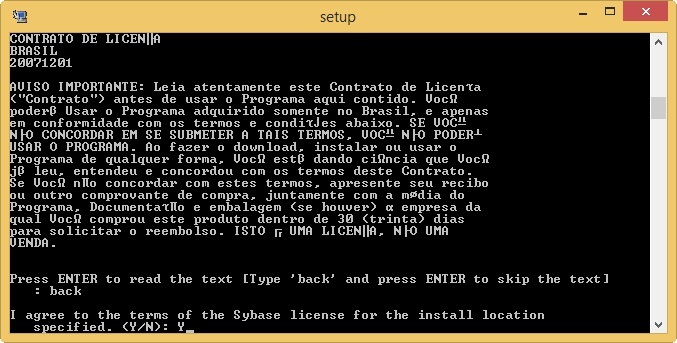 Currently Scriptcase offers a driver to connect with the Sybase database: Sybase. 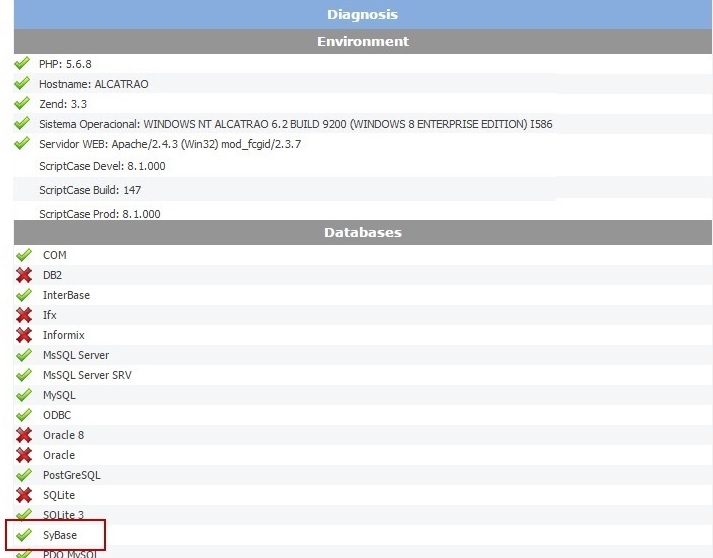 Sybase ( Recommended ) : Allows the connection to be made with Sybase using the native PHP driver ( sybase_ct ), which is superior in processing speed and constantly updated. Now we’ll access Scriptcase from Scriptcase from the browser and create a connection with the Sybase database. Step 1: Access your Scriptcase, for example, http://localhost:8081/scriptcase/ on the toolbar go to the marked icon in the image below, referring to “New Connection”. 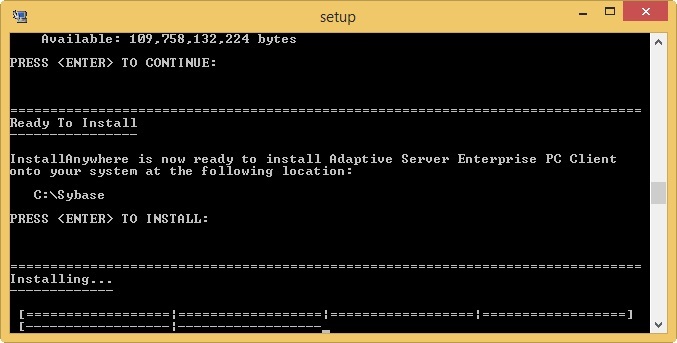 Step 2: After clicking “New Connection”, the page for creating connections will appear, click on the Sybase database image. Connection Name - Define the name of your new connection. 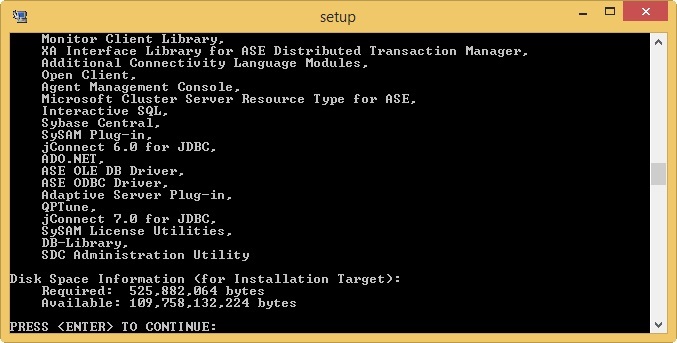 DBMS Driver - Allows you to define the driver that’ll be used, by default it’s sybase_ct. Test Connection - Validates the connection and informs if it was successful or not. 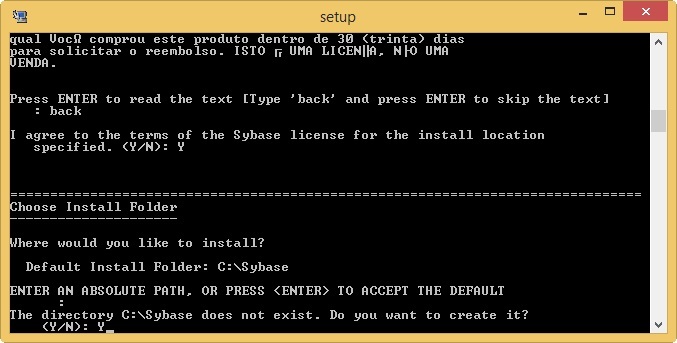 Server/Host (Name or IP) - Inform the location of the Sybase database. Database Name - Inform the name of your database. User - Inform the user of your Sybase database. 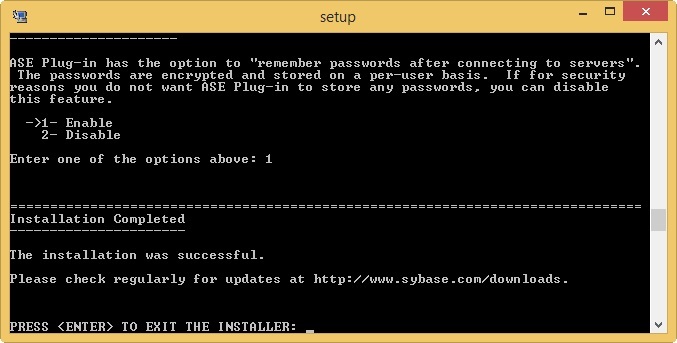 Password - Inform the password of your Sybase database. Decimal Separator - Select the type of separator, between coma and period. Persistent Connection - Persistent connections are connections that don’t close after running your script. Use the schema before the table name - Allows the use of schemas before the table names. Show - Allows to show Tables, Views, System Tables and Procedures. Searches - Allows to define which tables and owners will be shown. Step 4: Always test your connection before saving, if the message “Connection Success” appears, then save the connection. If it fails to connect, revise the fields that were informed, especially Username, Password, Database and Server/Host. Verify if the module is enabled in the diagnosis.